← Holy Guacamole! Voltron LEGO!! Kind of a quiet week for comics this week. There were a lot of good releases, but not many on my normal review pile. In any other situation, this might prompt me to try out some new comics. But nope! I’m a bit too lazy for that! Instead, we’ve got new and entertaining issues of Batman, Iron Fist and Hawkeye, as well as Unstoppable Wasp, the adorable and awesome Comic Book of the Week! I’m serious, it’s mostly adorable and awesome. After a great pair of issues focusing on Janet Van Dyne, I kind of want this title changed to The Unstoppable Wasp and the Regular Wasp! Or writer Jeremy Whitley should get a Janet Van Dyne comic! Comic Reviews: Batman #28, Hawkeye #9, Iron Fist #6 and Unstoppable Wasp #8. Our journey through the War of Jokes and Riddles continues on the periphery, and I’m happy with that. I no longer think King is trolling us, but the War was definitely planned this way for no doubt thematic reasons. Gotham City has fallen into open war. This issue doesn’t have a single story, instead checking in on various stories. 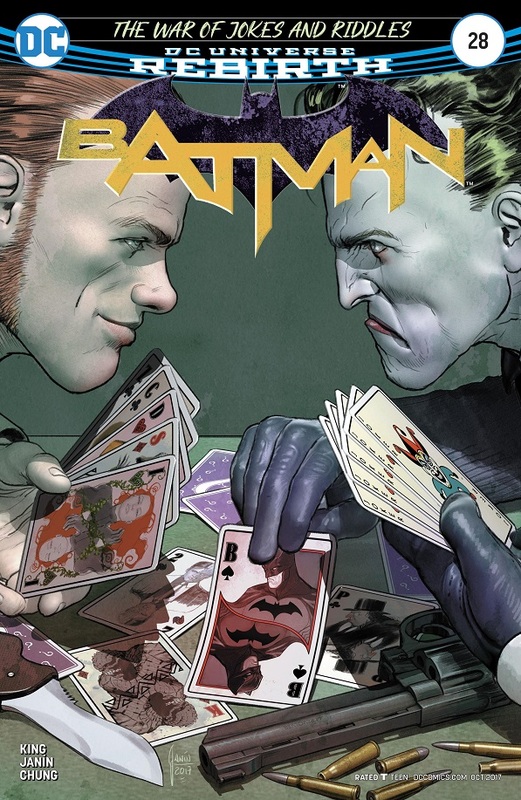 First, Gordon meets with both Joker and Riddler, and they both want Batman. When Gordon doesn’t deliver, Joker and Riddler send Deathstroke and Deadshot to kill Gordon, but when the two expert snipers and marksmen spot each other, they instead launch a deadly, 5-day tête-à-tête. When Batman intervenes, many are already dead. In fact, while he was worried about the two of them, the military sent special forces into Joker and Riddler territory, and they were all slaughtered. Also, Batman did bump into Catwoman at one point during the War, but she was busy being a thief instead of getting mixed up in all of that. This is definitely an interesting way to approach something like The War of Jokes and Riddles. I think every Batman fan out there would have loved to actually see the war play out, but that’s clearly not King’s plan. He’s telling this story from the periphery, with one small tale after another on the sidelines. It’s interesting, and so far, entertaining. He’s a great writer, with some great art teams, so at no point has this been boring. 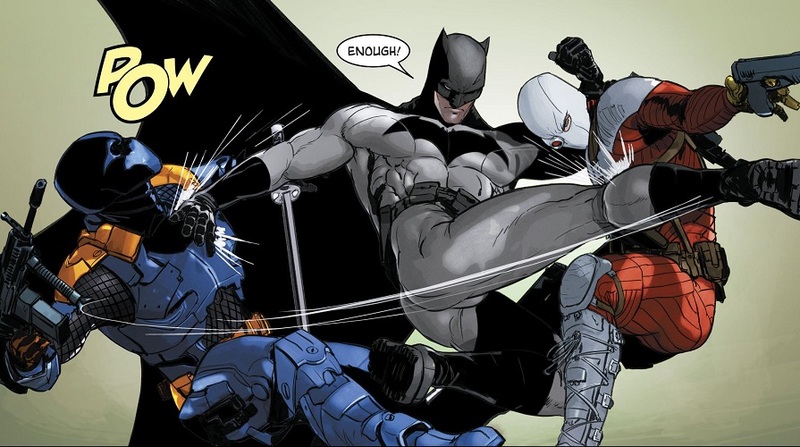 Some of it isn’t particularly enthralling, like seeing a massive brawl between Deathstroke and Deadshot told entirely through narration and montage. That’s the sort of thing I want to see play out in real comic book time. But King is going somewhere with this (I hope), and it’s more than good enough to just enjoy the ride. Nobody really likes our New 52 costumes! TL;DR: The War of Jokes and Riddles continues in quality and content. I’m both loving and mildly bothered by King’s sideline perspective approach. A somewhat simple fight issue is raised to the next level by some of the best banter in comics! Kate Bishop wakes up in a cage at the fight club she invaded, but at least she’s found the missing father she was tracking. The fight club then puts her in the ring with Clem, a giant of a man with a battle-ax and the ability to burst into flame. Kate defeats him with skill, quips and a fire-retardent foam arrow. Meanwhile, Kate’s cop friend shows up at her office, and her office friends fill the cop in about the fight club. She immediately launches a police raid and gets Kate to safety. So Kate is saved, the father is reunited with his daughter, and the cop confirms that Kate’s mother’s blood is on her old necklace. Kate decides she’s finally going to get some rest, but then a mysterious woman shows up in her office! Good banter can go a really long way! 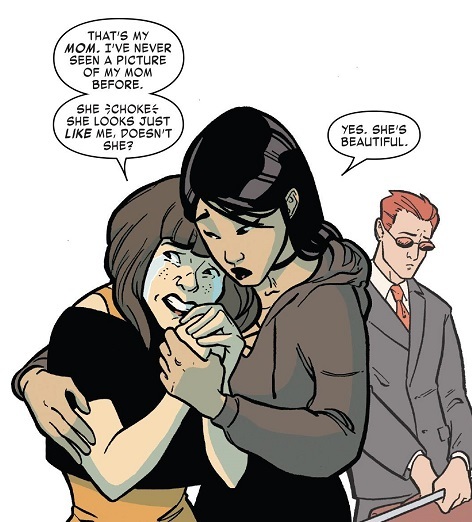 Kate Bishop is hugely entertaining in this issue. Remember the fight scene between Spider-Man and Bonesaw in the first Spider-Man movie? Where he just keeps mocking Bonesaw while they battle in a cage? This issue is like that, but legitimately funny. Sorry, I just never liked Tobey Maguire’s attempts to be quippy. 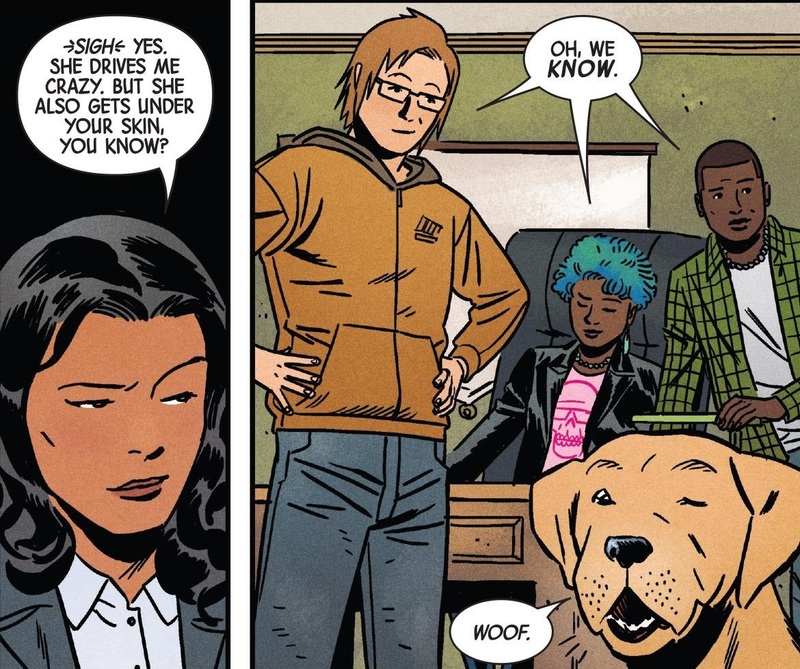 Whereas Kate Bishop is a total pro. This comic was so much fun to read! The story isn’t as impressive. I’m not entirely sure what this little detour into a crazy fight club was to accomplish. The little girl only showed up last issue, and her story is resolved right away? I kind of wish Kate did have time to get some proper sleep. Thompson is running her ragged! I’d like to see her focus on some more character and world-building. She’s got a big supporting cast, but Kate’s new friends are all just being grouped together as a mass gaggle. They had more personality when they were first introduced. They also seem to be falling into the trap of not having lives outside of Kate Bishop. Like, this girl just showed up one day in LA and bumped into them, now their entire lives seem to revolve around hanging out at Kate’s office, even when she’s not there. TL;DR: This was another hugely entertaining issue of Hawkeye, but I fear the comic is getting stretched a little too thin with the constant action. So we’re still doing Iron Fist? Yep, we’re still doing Iron Fist! It was a light week. While returning from his latest adventure, Danny Rand’s airplane is attacked on the tarmac by a gang of hooded monks. He gets out to fight and protect the innocent civilians, and is soon joined by Shang-Chi, the Master of Kung Fu. 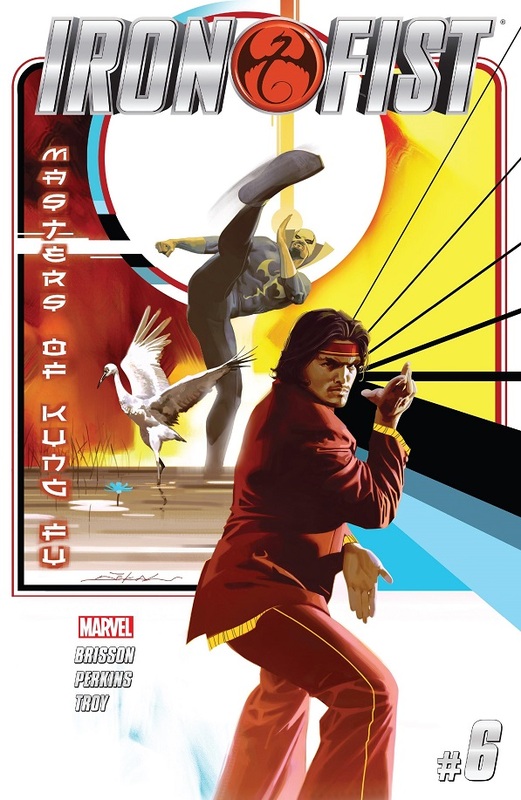 Shang-Chi informs Danny that there’s a price on his head, and that these mysterious monks are the mind-controlled servants of the Seer, who is looking to collect on that contract. Our two heroes chase one of the monks through the airport, where they are led into a trap by the Seer and are soon overwhelmed by the ghoulish villain and his horde of puppet monks! And then Shang-Chi also falls under the Seer’s control! This was a fine and dandy issue of Iron Fist. Iron Fist himself is pretty Iron Fisty. We get some solid fights and a new, mysterious and mystical villain. And Shang-Chi’s cameo is pretty darn cool — though there’s no real explanation for how he’s able to randomly find Danny Rand in the middle of an airport runway. But that’s just a quibble. This is a solid issue, with a pretty terrifying sort of villain. The problem is that I guess I don’t think Brisson is doing anything…special with Iron Fist. That might be a good word for it. There’s nothing in the series so far that elevates this into a Must Read comic. It’s just solid, entertaining Iron Fist adventures. TL;DR: Shang-Chi adds some fun energy to the latest issue of Iron Fist, but the comic still doesn’t rise to the level of anything special or exciting. Just solid, fun Iron Fist action. What’s this?! Can it be? A comic book without an obligatory super-villain brawl? I never thought I’d see the day! Once again told from the perspective of Janet Van Dyne, this issue is all about Janet helping Nadia properly set up her G.I.R.L. lab at Pym Laboratories. Janet gets all the girls back, with permission from their parents, and sets them up in Hank Pym’s old artificial intelligence wing. They’ve all got rooms to live there, including Janet, and are free to be all sciencey! They also hire Poundcakes and her partner to act as security, helping out the two crooks that Nadia tried to help earlier. Janet also managed to track down a bit of Hank Pym’s DNA, so they can easily prove that he is indeed Nadia’s father and she is an American citizen. And when they finalize that paperwork, Nadia asks if she can be called Nadia Van Dyne instead of Nadia Pym! It’s very touching. Also, Janet found an old video tape of Hank and his first wife, Nadia’s mom. Also very touching. There’s also a big gala lab opening, and Janet uses her fashion connections to get all the girls awesome new outfits! And Shay and Ying become an adorable couple! And Mockingbird is going to join the lab! 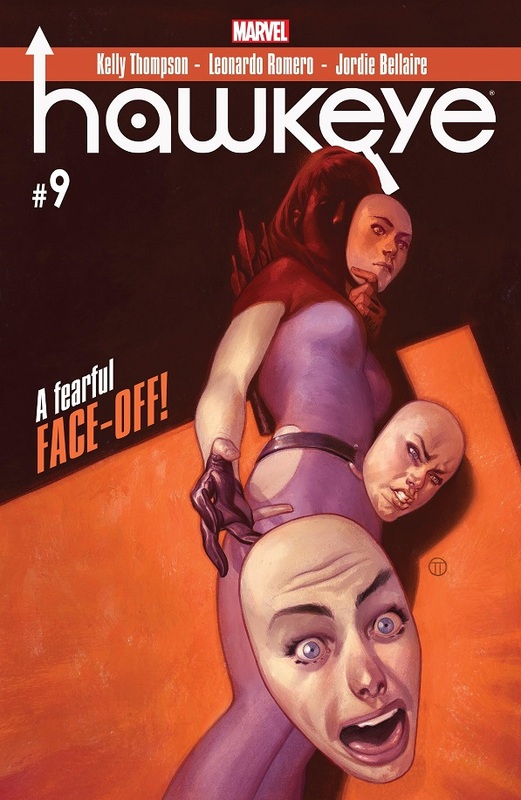 Nadia overhears some other people talking about how Hank hit Janet, and Nadia confronts her about this (since Nadia never knew the single most defining bit of trivia about her father). Janet talks to Nadia about forgiveness and other important life lessons, and they both make their peace with it all. The issue ends by jumping forward two months so that everybody is all settled in and working on a new teleportation device! It’s not that I have a problem with comics and superfluous super-villain fights, it’s just that I don’t think they’re always necessary. Comics have evolved as a medium and no longer need a fight in every issue to justify their existence. Sometimes a good story can be told without fighting or randomly chosen super-villains to drop into the tale. Sometimes we can have an issue like this one, with very little conflict, but which is nonetheless charming, entertaining and well-earned! Whitley has done so much in so few issues to establish Nadia as a wonderful character, and build up a truly unique and interesting world around her. So to take an issue to get all of her ducks in a row and set her up with an awesome new status quo — one that has been building since the beginning — is great! I was on board with the G.I.R.L. idea since the first issue! Too many superhero comics think all it takes is a hero and the fight of the week. 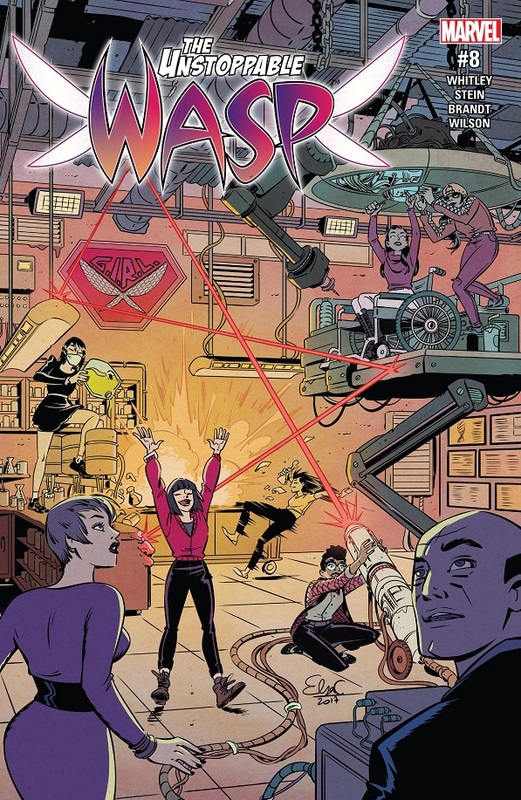 Unstoppable Wasp has had fights, but it has mostly focused on the hero and her personal quest to raise the profile of female scientists and engineers in the Marvel Universe. That’s a nifty idea, and Whitley had a lot of fun with it. But now the story has evolved, and using realistic MU resources that fit the story — like the original Wasp, and Pym Laboratories — Whitley has transformed his little comic into something even bigger and better going forward! Why not have his cake and eat it, too? Why not have everything fall neatly and cheerfully into Nadia’s lap? She’s a neat and cheerful character! There will be plenty of time for conflict and super-villains later! Also, the art was incredible! So personable and full of life and energy! This comic is firing on all possible cylinders! TL;DR: A happy and cheerful issue sets up the new status quo in a lot of fun ways with a lot of fun characters, and nary an unnecessary super-villain fight to be seen! I like that. Posted on August 5, 2017, in Batman, Comics, DC, Marvel, Reviews and tagged Danny Rand, Hawkeye, Iron Fist, Kate Bishop, Shang-Chi, Unstoppable Wasp, Wasp. Bookmark the permalink. 2 Comments. Hawkeye was great, as usual. So charming, with some real emotional tension beneath the surface. Iron Fist was good. Shang-Chi, yay. Wasp was sooooo good. So many feels. That panel of Nadia covering her mouth, when Hank first shows up in that video. That panel breaks me. The issue is such an emotional roller coaster, going from joy to feels, over and over. 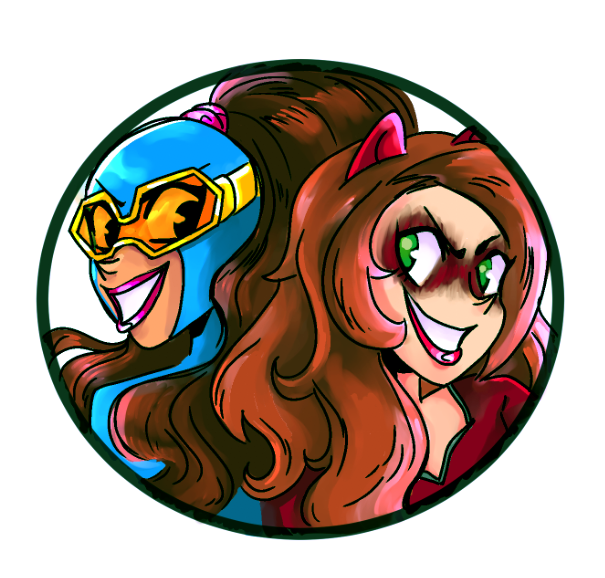 Also, Ying and Shay make a really cute couple. Shay rocked that tux. I do hope GIRL shows up in other comics. Have Lunella or Riri ask them for help, have Nadia introduce the Avengers to them for some tech, Alexis can drive Hawkguy around in pursuit of a villain, whatever. On a side note, I would also recommend Black Bolt to people who like good comics. I have always disliked Black Bolt as a character, but Saladin Ahmed and Christian Ward are actually making me enjoy him. This week was an entire issue of Black Bolt and Absorbing Man chained to a post, having a conversation, and it was more compelling than any slug-fest. It’s one of those sleeper hits that doesn’t get much attention but is one of the best things coming out of Marvel right now. The only reason it’s not the best comic of the week is because Unstoppable Wasp edged it out. I had seen a couple panels of that talk with Absorbing Man, and that sort of thing is right up my alley! I might definitely check out Black Bolt now, thanks for the recommendation!